I’ve started the Confident Fat Girl’s Movement.” We celebrate life with great vibes of inspiration and motivation by helping you find a positive healthier lifestyle and take control of the issues you are facing. I have always written stories and journaled in my spare time. I write to express myself and teach it to the people I serve at my counseling practice, Restoring Bodies and Minds. It’s important that I write my thoughts and feelings down instead of keeping them bottled up inside. This is my way of keeping my mental and emotional health balanced. As I was writing “ A Fat Girl’s Confidence” in 2017, I was also battling the grief of my mother’s death. Writing became my therapy and I wanted to uplift myself as well as other plus-size women across the world who might be experiencing the same feeling I remembered times when I didn’t feel pretty internally and externally, as I feel today. I had so many bottled emotions and rejections dealing with my personal life. I recently got a breast reduction due to my ex-boyfriend making a joke about me. I went through an identity phase, I had forgotten who I was. I realized I was stuck and unable to move forward because I had lost control of MYSELF. I knew I had to take the power back over me and focus on positive change. Nothing happened overnight. I took baby-steps at the beginning. Thinking that I finished before I ever got started. When I first started as a counselor, I thought it was easy, much like writing books. Truth is, I got my documentation sent back numerous times, just like my books. I had to revise and edit documents over and over. I went in thinking my work was the BOMB!. My head was held high and I was confident. Little did I know, I still had a lot of work and growth to do, like every other person. 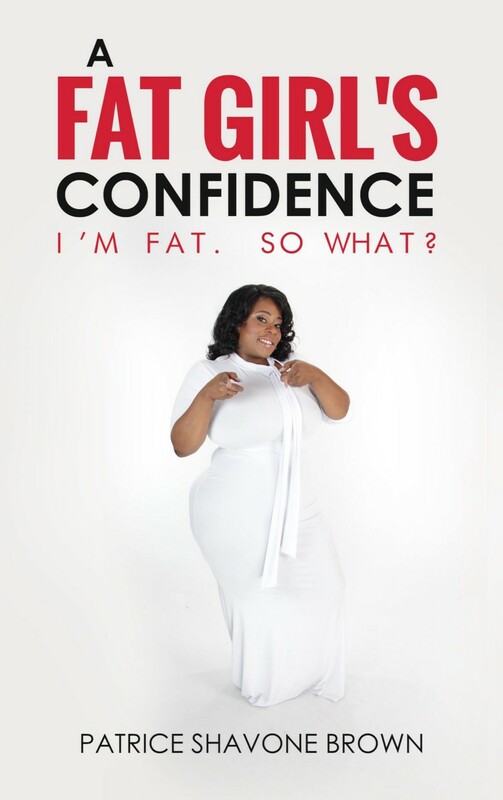 “The Confident Fat Girl’s Movement” focuses on pledging to taking responsibility for your actions and implementing positive changes and self-growth in everything you plan to do. Women will at some point in their life experience depression. 43% of women suffer with obesity and depression. My goal is to inspire positive and healthy mental and emotional change, plus uplift women around the world to love every inch of themselves, internally and externally. Self Care is important to your mental and emotional health. It is important to choose yourself first and take the action needed. Learn and find hobbies that feed your soul and mind. Continue to expand your brain with positivity and the rest will follow. You’re never too old to learn. You can be attractive, loved, funny and inspiring by just simply being you. It is important that we heal ourselves from negative thoughts and unhealthy patterns. Which people in history inspire you the most? Why? Harriet Tubman, she was a leader with a great movement that we can’t forget. Which literature do you draw inspiration from? Why? · Langston Hughes, his writing and poetry have been an inspiration since I was a young girl. · Maya Angelou, her writings were inspirational for me as a woman coming from North Carolina. Although she was from a different era, I can still feel and envision her struggle. · Stephen King is the author that I look to for supernatural inspiration. I enjoy his work. It’s real, inspiring and shares solutions to everyday issues. Just do it, like Nike! Take that leap and put that pen on the pad and write your heart out. Don’t limit your creativity. Step outside your comfort zone. You will face rejection but take it as a lesson and work on the issue(s) and try again. The more you try the more you learn and grow. 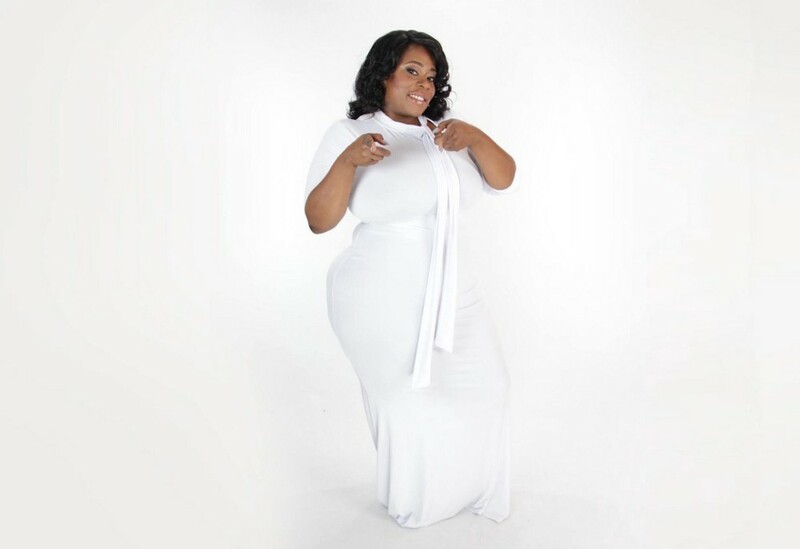 “The Confident Fat Girl’s Movement.” We celebrate life with great vibes of inspiration and motivation by helping you find a positive healthier lifestyle and take control of the issues you are facing. When I first started, I wish someone would have told me that just because you can write a complete book doesn’t mean you will sell out. When I first released my book, “Secrets Of A Crazy Mental Health Counselor,” I had the notion my book would sell out in minutes. Wow! Was I wrong. I quickly learned you must know how promote and market your work. Just because you have a good book, it doesn’t guarantee sales. Martin Lawrence is someone I want to sit down and have breakfast with. To have the opportunity to laugh and learn about his career in comedy has been something I’ve been curious since I was young. I grew up watching “Martin” and he helped me get through each day with his comedy. I feel like he and the cast of the show were a part of my family. I would love to collaborate on charity event with 50 Cent. I want to see his soft side, hands on giving back to the people. Apron, hair net and all!